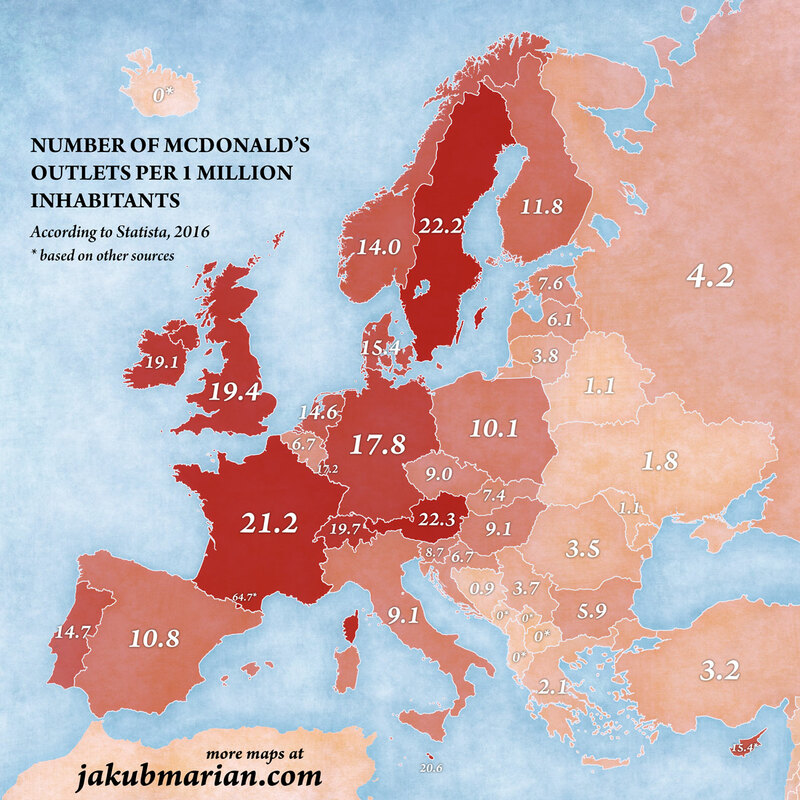 I have already published a map of the number of vegetarian restaurants per 1 million people in Europe, and I thought it would be interesting to take a look at the other side of the coin as well—and what could be more “opposite” to being vegetarian than hamburgers at McDonald’s? The map below is based on data compiled by Statista (there are no data for some countries, marked with an asterisk on the map, in which case I used other publicly available sources). It is interesting, but perhaps not surprising, that the number is higher in wealthier countries than in less wealthy Eastern European countries. What could be rather surprising is France’s figure, which is among the highest in Europe. Even though the French are stereotyped as a nation of gourmets, they enjoy their fast food just as much as other European nations.